Not sure if it is the best alternative but I have a CyberPower for a couple of years and it works fine. We use Eaton over APC ALWAYS now! I would stick with APC. They have been around since Hector was a pup and while their equipment may be somewhat overpriced and the technology sometimes not cutting edge, it is reliable, repairable, parts are always available and their support is good. They make their own equipment, unlike some other vendors. I would prefer a good used APC unit over a new anything-else. Side note: I had some poor luck with Cyberpower in the past and do not recommend that, although I hear that they have cleaned up their act and now build some of their equipment rather than OEMing it out. >The dimension I need so its not sticking out so much. Taller and wider OK. Going from the photo on the page You want a tower UPS but "taller" for a tower UPS would mean that with a tower-to-rack conversion kit on it would not fit in a 19 inch rack if it was taller. If anyone sold a "taller" model when in tower orientation they would have to manufacture two models which would push costs up. 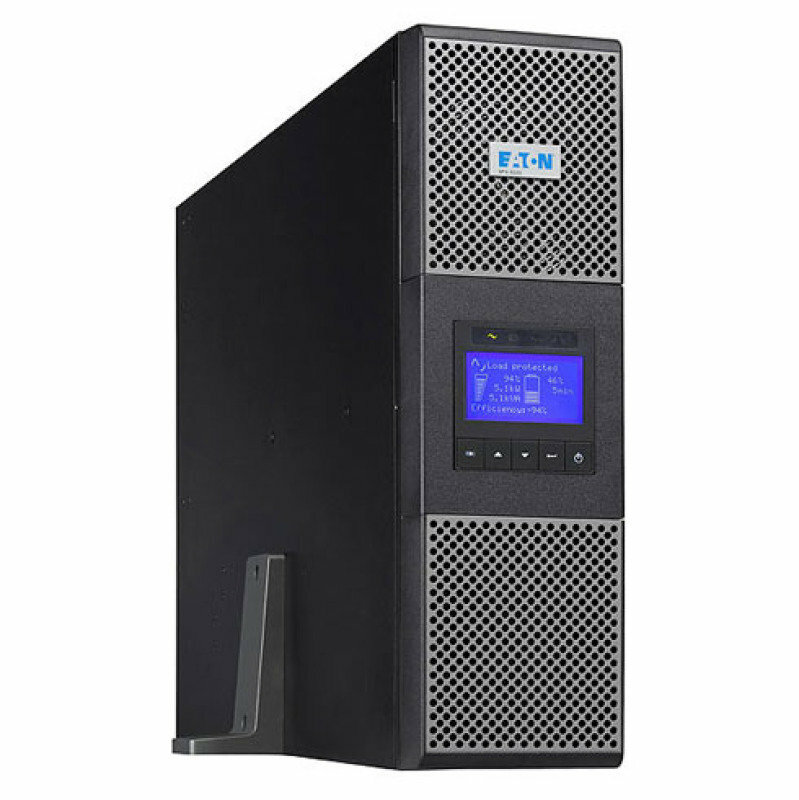 The model in the photo is actually a 3U UPS and a 3U runtime module, they could make it taller by putting the UPS on top of the battery pack but it would be horribly unstable unless bolted to a wall. Could you free up some space at the bottom of your 4-post server racks and put rackmount UPSs there? Then you would not have to use rack stabilization kits. Or swap your 2 post comms racks for 4 post ones and put them at the bottom of them. Batteries are normally at the bottom and one behind the other, so that dimension is often fixed by battery complement. Turn the unit sideways in your space with the ability to pull it out to change batteries. Otherwise they do not need much maintenance. It would help if Tiras25 indicated on her floor plan where she wanted the UPS(s) to sit. why not a rack mount unit ? what power requirements have you got in this DC ? Andy, let me find a layout and try to share with you. Cannot do racks. No more rack U's left. Purchase Eaton, provided you have space on the floor, the size of a rack! Eaton 9PX units are square, (19" width) so can be placed next to existing rack and it will not stick out, but you'll also want PDUs, and cable the UPS from rack PDU, to supply power. Thanks Andrew. So Eaton 9PX6i rack-mount but just lay it on the floor? Yes, because rack mount kits are optional for Eaton! Up to you whether you rack mount or not. It's not going to fall over, they are very heavy, depending on what you purchase. 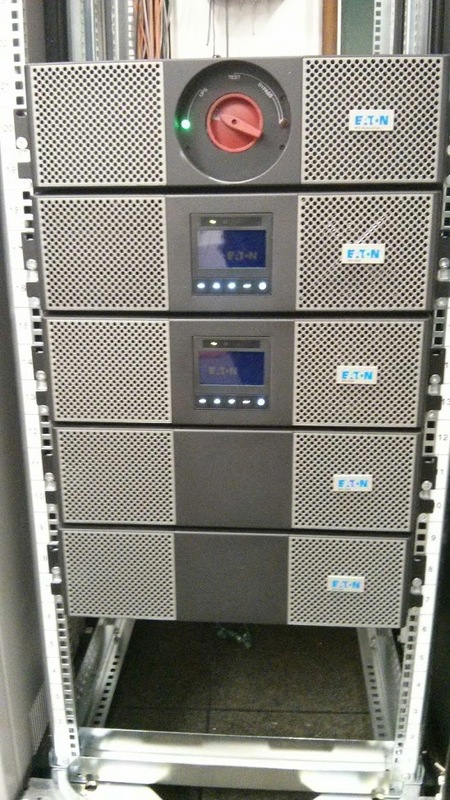 In that photo are 5 different boxes, 2 9PX6i, 2 extended runtime batteries, 1 cluster controller! If you just want a single 5-6 kVA unit, it's just one box! which can be laid horizontal of vertical! We will be using this function again, at the end of August, when we have a Scheduled Power Outage for 2 hours, and we don't really want to shutdown, so Eaton Load Shedding power's off ALL non-critical servers, and then hosts, just to maintain a single host networking, and SANs, and we should have enough runtime of 4 hours to complete this. But that sticks out more than the APC turned sideways! Personally we don't like anything on floors in DCs, all in racks or it does not go in! Slimmer because it doesn't have the 3U runtime module next to it! I have nothing against Eaton, after all I'm from the HP channel and they use Eaton but comparing a 3U UPS with a 6U UPS+runtime is hardly comparing like for like. Lose the extended battery pack and they both stick out 3U if you ignore the stabilising feet. The image posted is a 5-6 kVA unit, the photo I posted was an example of Eaton UPS in our DC, if the Asker had never seen or heard of Eaton! Asker has not really specified, load, runtime required, clustering, extended runtime, outputs required..... just I want something like this, but not APC! We used to use APC all the time, when they were APCC, before the Schnieder Electric takeover, and the products were just not as good, in our opinion anymore. I thought it was the physical size she was interested in. Yes, the physical size. Wanted less depth. However, I think I should try to go with APC. The rest of the UPS in this and other sites are APC's. You could probably get away with hanging a 3U server in a vertical rack such as https://www.racksolutions.co.uk/wall-mount-rack.html# . but not sure a UPS would be safe hung by the ears.